Farmers have been warned doing nothing is a ’high risk strategy’. Timescales were the key challenge for agriculture from Brexit both on-farm and for exporters. With uncertainty over the future trading relationship with the European Union, there was an emphasis on opening up more non-EU trade deals. 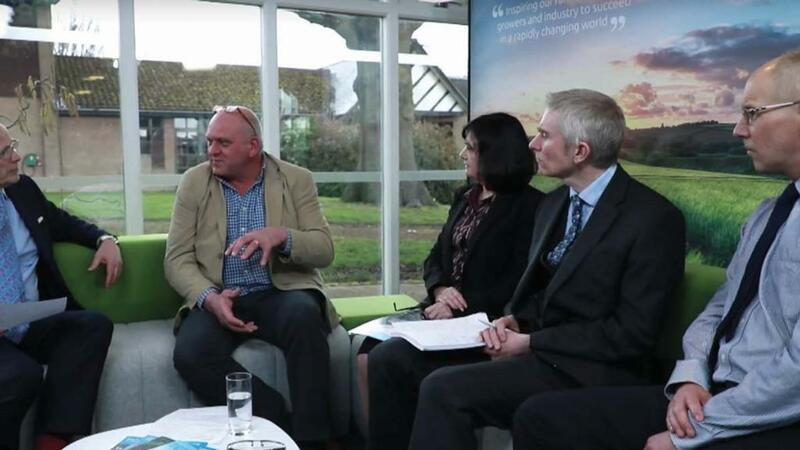 Speaking at AHDB’s Brexit360 livestreamed seminar, media partnered by Farmers Guardian, Peter Hardwick, head of exports at AHDB, highlighted these would take time. David Swales, head of strategic insight at AHDB, said: “The starting point to understand the effects of Brexit on a farm business is to understand the trade position for the sector. On-farm, Sarah Baker, AHDB strategic insight manager, also focused on timescales, stating if the industry had 10 years to adapt to changes, everyone would be able to get there. Ms Baker emphasised it was not all about constantly pushing for better yields, but a farm’s ability to ‘turn inputs into outputs’. She gave the example of no-tillage systems, where yields might drop, but input costs could drop further. Benchmarking against other farms and continuous development were highlighted as targets for farmers to concentrate on during the transition period, with Ms Baker warning doing nothing was ‘a high risk strategy’. Graham Redman, partner at Andersons, said many farmers believed they were in the top 25 per cent of farmers, but had no evidence they were. He added farmers may as well grab hold of the knowledge AHDB had, as they were already paying for it. Farmers need to remember Brexit scenarios may be more complicated than they first seem when looking to the future for their sector, according to AHDB Potatoes strategy director Rob Clayton. He said some growers he had spoken to had been very excited about the future, looking at AHDB forecasts, if the UK took a protectionist stance with the opportunity to displace imports of frozen chips from Europe. “When you play this back across the supply chain, it is a different set of concerns,” he said, highlighting businesses would then be concerned about importing cooking oil, machinery and migrant labour. He added this reminded farmers about the potential effects on their inputs and any European staff. WATCH AGAIN: Session One - Where are we now?